In the town of Oviglio, halfway between the provinces of Asti and Alessandria, between the Monferrato and the Langhe areas, in the wonderful vineyards landscape of Piedmont, Italy, lies the charming castle of Oviglio, an ancient “royal” mansion once owned by Her Majesty Queen Christina of Savoy, the Infanta of the Two Sicilies, who married His Majesty the King Carlo Felice. The Oviglio Castle is now an ideal location for elegant receptions, a charming stay, a dinner with local flavours or other important moments. Today, Castello di Oviglio is a hotel of character, where the original ambience and spaces are preserved with great care. The cellars, the halls, the deambulatory and the library, where furniture and decoration evoke the luxurious atmospheres of the royal era, are the introduction to the nine rooms that are the result of a painstaking architectural study carried out with love and sense of balance, where the charm of the past walks hand in hand with all today’s comfort. 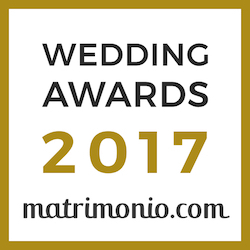 The magical scenario of the castle “Castello di Oviglio” is a prestigious setting for all receptions, from the most intimate to the most glamorous. A multitude of different ambiences and atmospheres, both indoors and outdoors, is at your disposal to create dynamic and enthralling events of up to 210 people. The Oviglio Castle is a prestigious congress venue offering different environments suitable for any kind of meetings of up to 170 participants. Each room has internal and external accessory environments to support the main and meet all of your needs. There are no historical documents that give evidence of the existence of the Castle before 1300 but it is certain that since 1367, when Oviglio fell under the power of Galeazzo Visconti, where now we see the castle there was a “castrum” surrounded by fortified walls which enclosed also the ancient medieval village, which the citizens of Oviglio still call the “borgo di dentro”, which means the “borgo”, or village, inside the fortified enclosure. So it is certain that in the castrum and the fief of Oviglio under the Visconti, Dukes of Milan, lived several noble families, among them the last, the Perboni family, who lived there for almost five centuries. The castle of Oviglio took the name it still has today, the “Royal Castle”, from the fact that it was acquired by Her Majesty the Queen Cristina of Bourbon, the Infanta of the Two Sicilies, the widow of King Carlo Felice (Chares Felix). The castle was then owned by several families for the Piedmont region, including Counts Perboni and Calcamuggi. It was them who, during their ownership, carried out important restoration and adaptation works. The look of the two sides was improved, to the east and to the south; the east entrance with its imposing tower were built; the west entrance was rebuilt and the main salon was restored. They also built the precious coffered ceiling of the reception salon and the ordered the frescoes that still embellish the several halls of the Castle noble floor. On June 4, 1908, the Italian Ministry of Education declared the Royal Castle of Oviglio a national monument of historical and artistic interest. To this day, we can still appreciate all the fascination of an eight-century-long history marked by modern interventions that turned the castle into a historical mansion with all the comforts, with its original and well-kept environments and an exclusive atmosphere, in the enchanting territory of Piedmont.